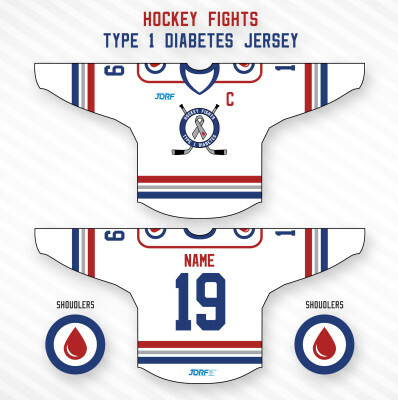 The 4th Annual Hockey Fights T1D Fall Freeze to benefit the JDRF will be held on Saturday September 30th, 2017 from 12 – 3 pm at the New Hartford Recreation Center at 4 Mill St New Hartford, NY 13413. 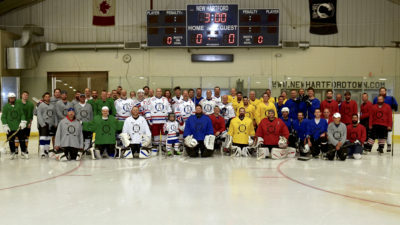 This is a family friendly fundraising hockey event for players of all skill levels from beginner to advanced. Registration is now open and can be done here. 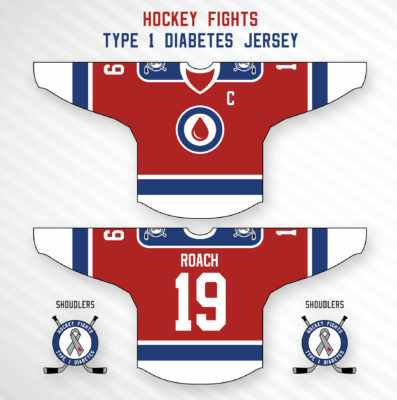 The cost to play this year is $40 and will include a jersey, surprise gift, ice time and a donation to the JDRF. This event sells out every year so please make sure you register early. This year we will be returning to players participating in a single game on event day. From the feedback we received, the format of 5 mini games made for too long of a day for everyone involved. When registration is closed we will divide players into groups and then teams. The plan is to have 2 games and we will add a third if we get enough players to fill it. Also returning this year, we have also formed a Team JDRF event online. What does this mean for you? We are glad you asked. You can join our Team JDRF event for free online and fundraise with us just like you would for any other cause. People can go online and donate to your personal fundraising goal or just to the event in general or you can collect cash and check donations and turn them into the event. You can join our team here. If you would like to purchase a premium jersey for our event you can do so at our store. https://squareup.com/store/HockeyFightsT1D. They can be customized with your name and number. 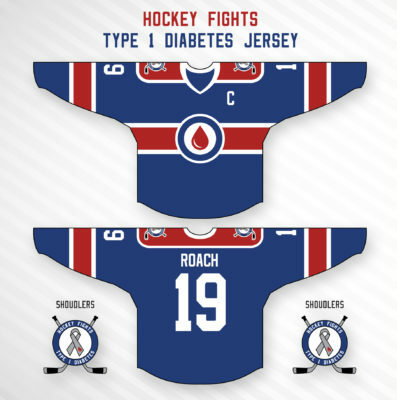 Please note that the deadline to order one of these jerseys is July 29th as they take about 8 weeks to arrive. The premium jerseys can be seen below. More ways that you can get involved! 5th Annual Fall Freeze Registration is now open!